The new regulations address concerns over the population decline of Pacific bluefin tuna. 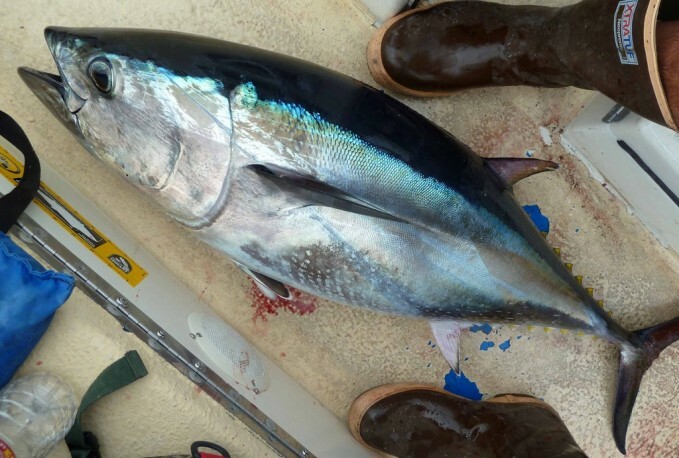 Based on an international stock assessment, the National Oceanic and Atmospheric Administration (NOAA) Fisheries declared Pacific bluefin tuna overfished because the spawning biomass is at an historic low. An international rebuilding effort is underway, which requires reducing fishing impacts across the north Pacific. The goal of the effort is to bring the stock back to healthy levels and ensure sustainability of future harvests. Each fish must be placed in its own bag and clearly labeled with the species name. Be sure to read the following link to the DFW to make sure you are all caught up with the new regulations!